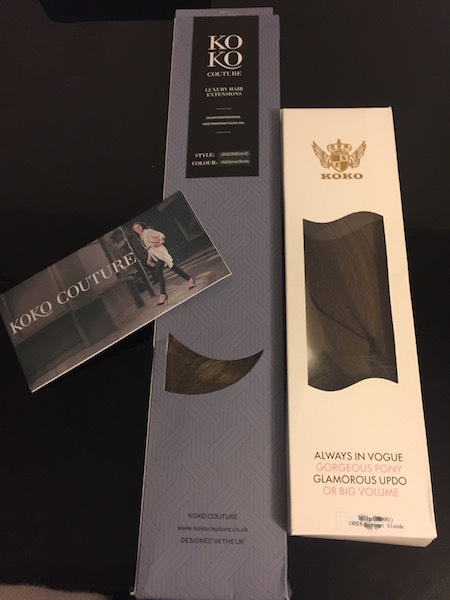 So the good people at Koko Couture sent me some Gorgggggggeeee hair to try out!…. I received there new Lena 3 piece weft curly hair extensions in 18H24 harvest blonde, and there Straight ponytail in 18H24 Harvest Blonde. Synthetic hair is something I’ve never tired before and the 3 piece weft is quite revolutionary in my eyes as you can wash and style it (on a low-medium heat up to 180 degrees). The quality of the hair is fantastic and such a good range of colours! 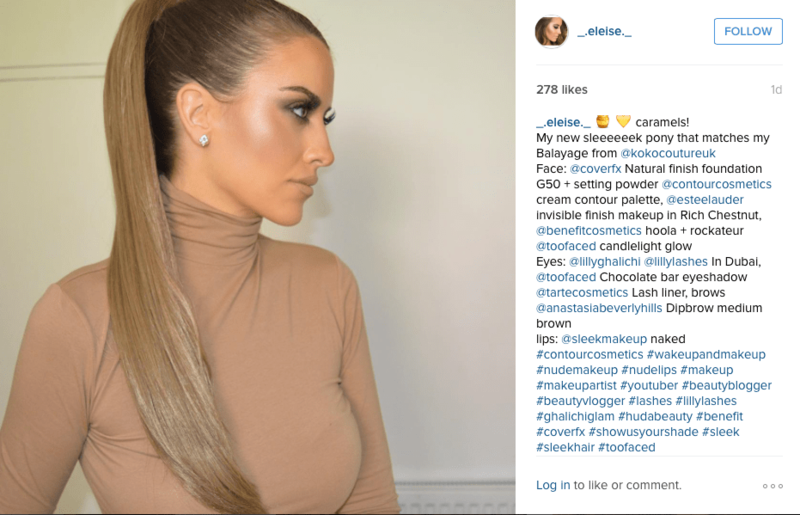 The pony tail is a great long straight sleek style for that Kim K look, ( Which i love but have layers so isn’t best suited to my haircut so this is perfect! ), the colour blends perfectly to my ombre hair and its so shiney ( but not in a fake way) – I love it! I put a picture of it up on my Instagram ( _.eleise._) + snapchat ( eleise) and immediately got so many messages asking where it was from! Its so easy to apply over a pony and you can make it as outrageous or neat as you wish by putting your hair in different buns/ponys underneath it! 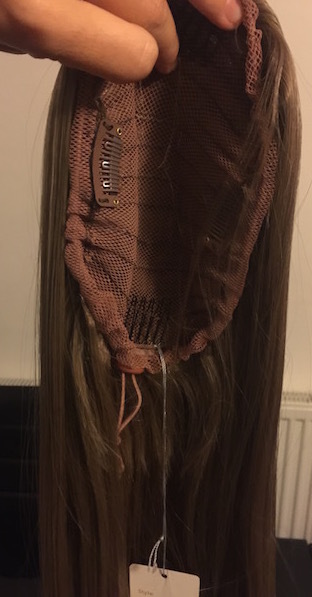 It attaches via 4 clips around a circular weft that you clip around your pony/bun and draw string to hold it securely – what I love about this is you can undo the draw string and clip it to the crown to add volume to straight hair or you can wrap it and style it to create buns and updo’s. 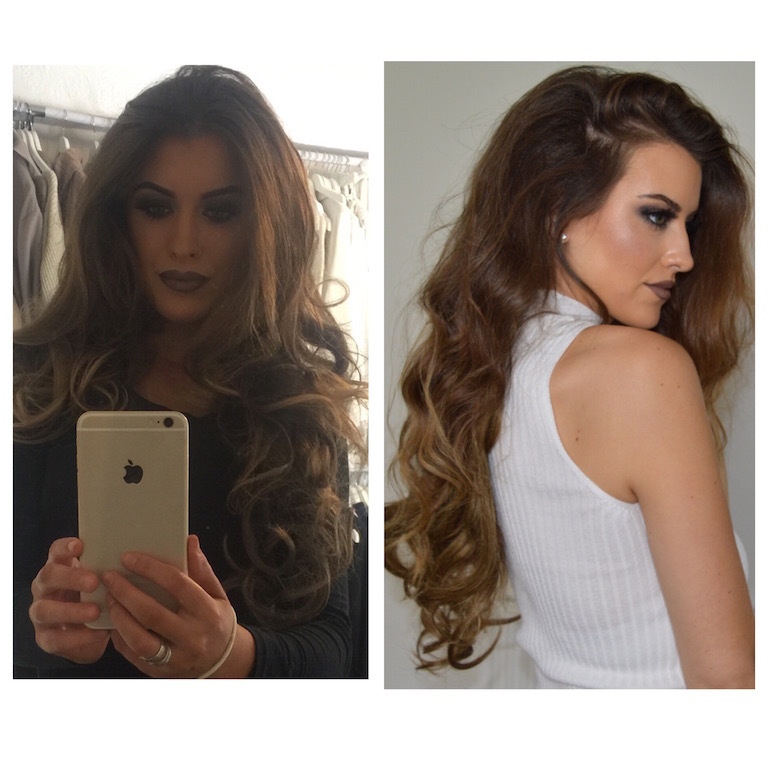 The 3 piece weft is exceptional, the curls in it are a perfect blow dry curl but also blend in with curling wand waves! The amount of hair is amazing so thick and luxurious and the length is perfect not too long it looks ridiculous, but long enough to look wow! The quality of these is very good and the clips and put in superbly and strongly. You can also put these up in a pony to get thick volumes curly waves and curls that even Lily Ghalichi would be proud of! The thing about these which I love is the fact the style stays in which with real hair hair extensions is sometimes not the case. These are 22”, 230 grams,with weft 1 5.7 inches on 3 clips , weft 2 7.5 inches on four clips and weft 3, 10.4 inches on 5 clips.